One of the key attractions is the fact its only half an hour away from the Bandaranaike International Airport, make it an ideal place to either stop over just after arrival or before departure. The town used to be a major producer of cinnamon and therefore, was a target to many invasions from the Portuguese in 1500s, Dutch in 1640s and the English during 1815. However, there was a discrepancy between the demand and the supply which affected the trade significantly until it almost completely declined. At present, there is still a few sources of cinnamon left. The influence of the Dutch is pretty evident and is reflected in some architectural sites like the Negombo Dutch Fort- an iconic landmark, the Dutch Canal- which was one of the main routes of the cinnamon and spice transport system and a few churches. The fishing industry has been around Negombo for centuries and at present, is one of the main sources of income other than tourism. 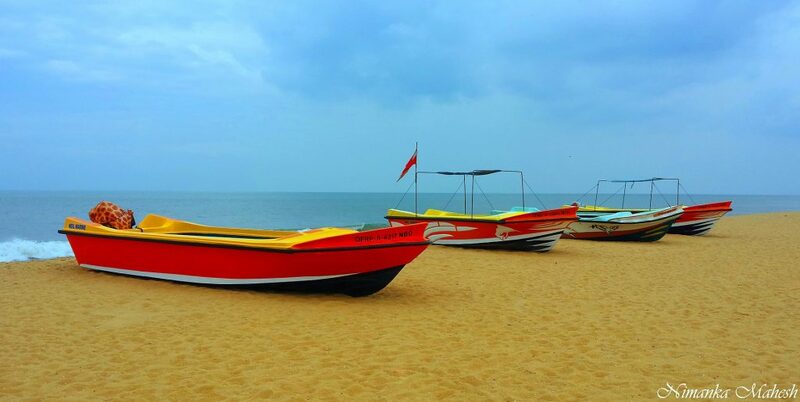 Visiting the beach early in the morning will show you the day-to-day routine of a fisherman. A day or two is enough to explore the town. Therefore, look out for hotel offers in Sri Lankafor at least a short stay to explore. One such option could be Heritance Negombo, which is less than 20 minutes away from the airport. Next Post White Water Rafting in Sri Lanka – Ride through fast-slowing waters!